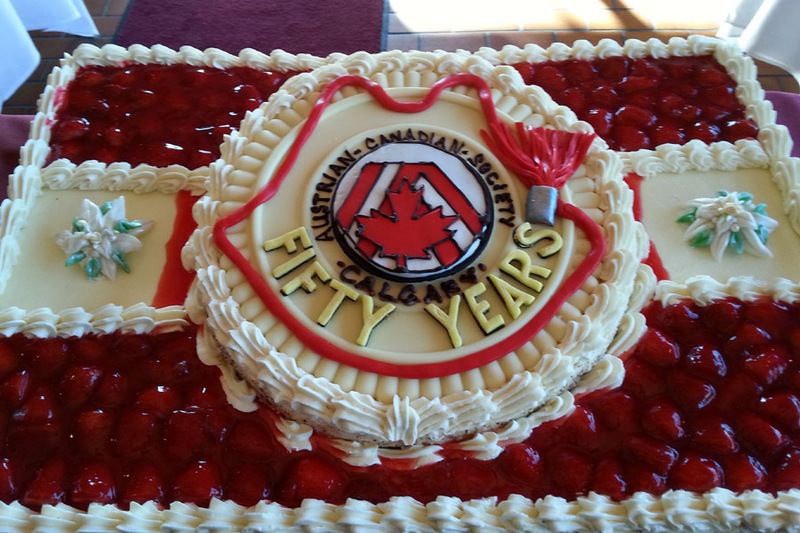 for their support over past 50 years! 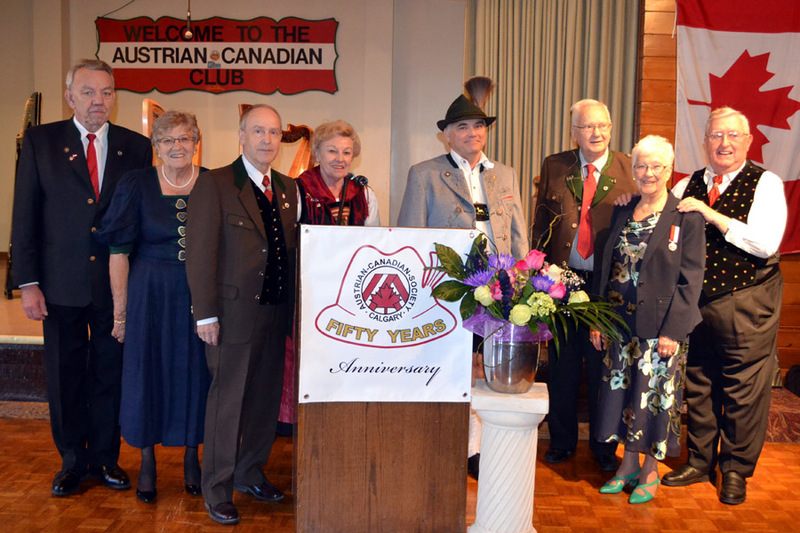 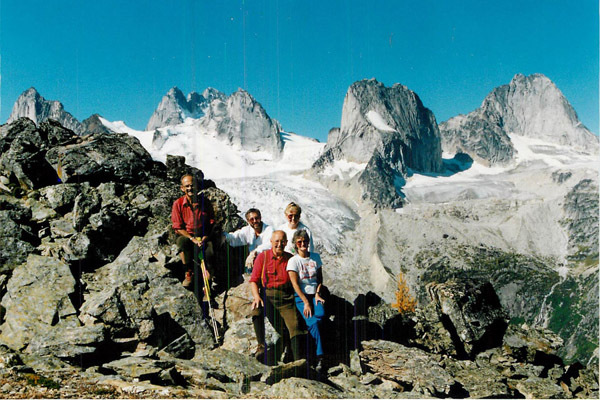 On October 17th of 2014 we celebrated the Austrian-Canadian Club’s 50th anniversary and at the same time it has been 35 years since the Club build the Austrian-Canadian Centre, two very good reasons to celebrate. 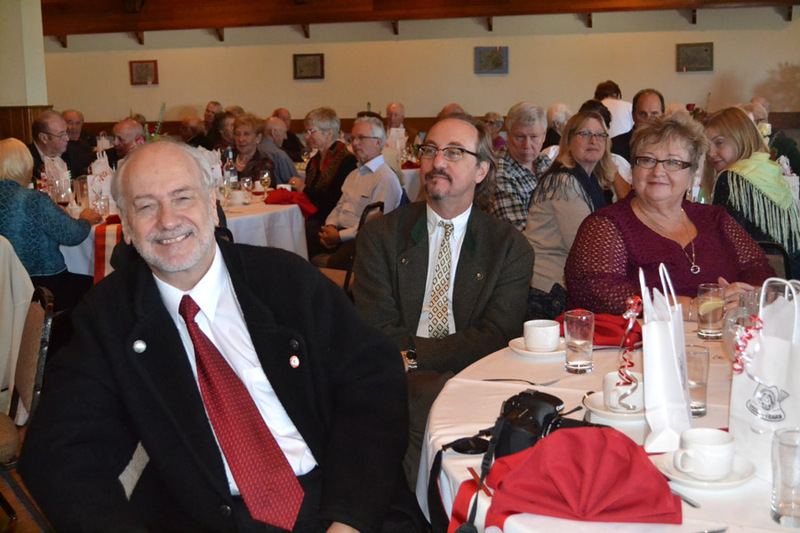 President Frank Meixner, who has been the President as well as the business manager at the Club for over 30 years, greeted the guests and Dignitaries. 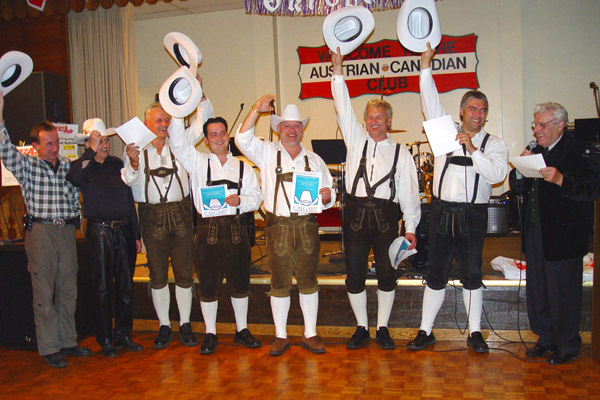 He started the celebrations with a walk down memory lane and talked about the history of the club thanking the members and volunteers who contributed to the success of the Austrian-Canadian Society. 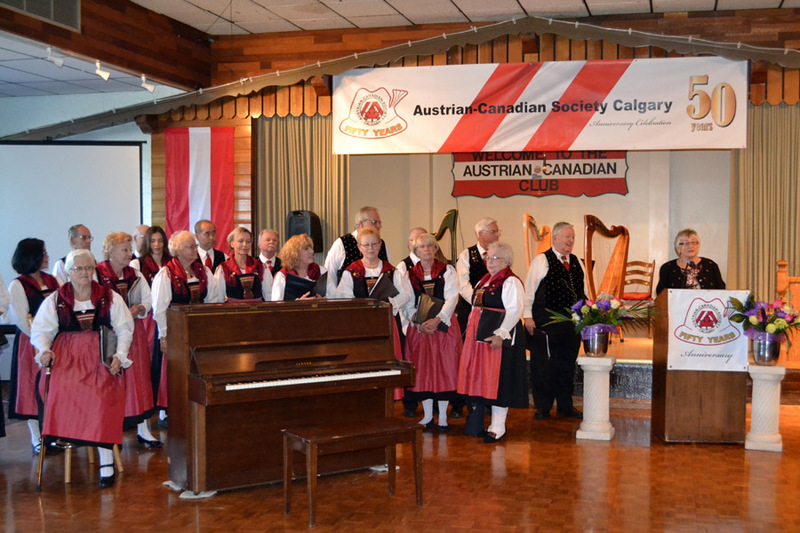 The Honorary Consul of Austria for Alberta, Nick Demiantschuk, brought greetings from the Austrian Ambassador and Roland Pirker of the Austrian-Canadian Council from Ottawa was congratulating the Society. 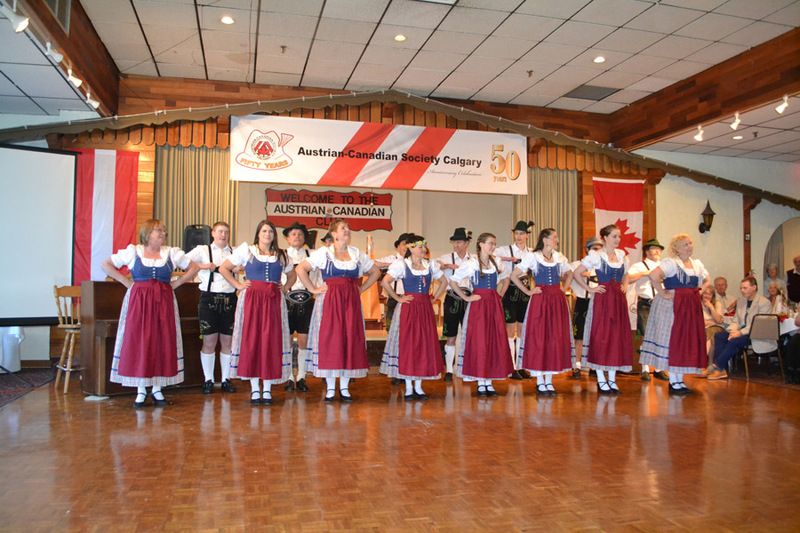 There were many more speeches and congratulations, Professor Patrouch and Professor Szabo from the Wirth Institute for Austrian and Central European Studies at the University of Edmonton and Annemarie Juravel of the German Canadian Association of Alberta were among the congratulants as well as representatives of Schuhplattler Verein Enzian and Austrian Choir Heimatecho. 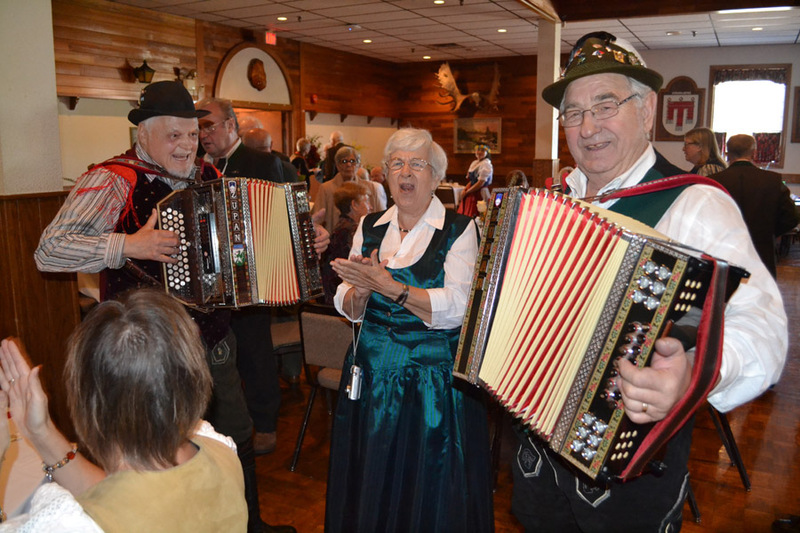 Entertainment was provided by Aiga Helmer with a beautiful Harp Trio, the Schuhplattlerverein Enzian performed their traditional dances. 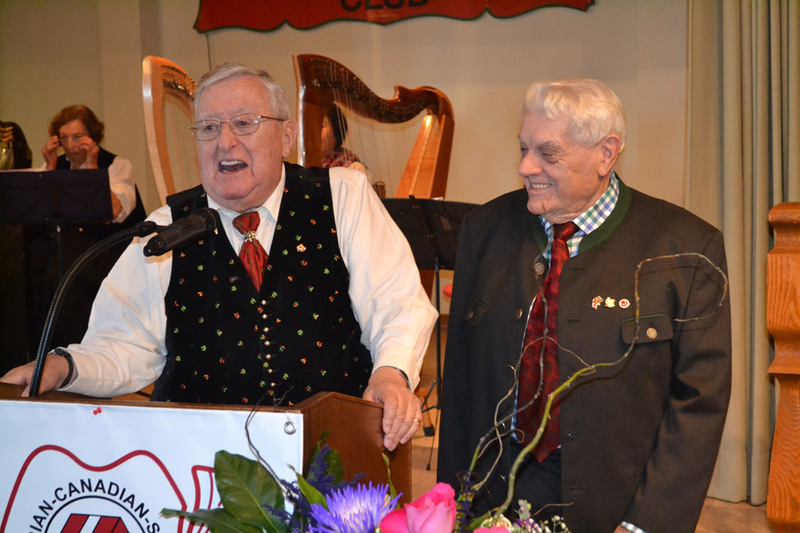 Choir Heimatecho presented their wonderful Austrian songs and after the official program Leo Kladnik and Frank Vreçar played some familiar tunes on their Accordions. 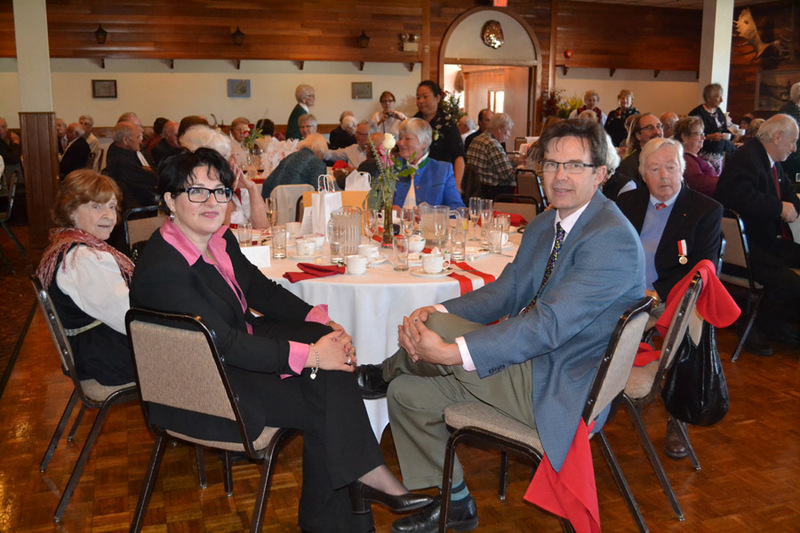 Everyone enjoyed the exquisite luncheon with a spectacular dessert buffet and a beautiful Anniversary cake. 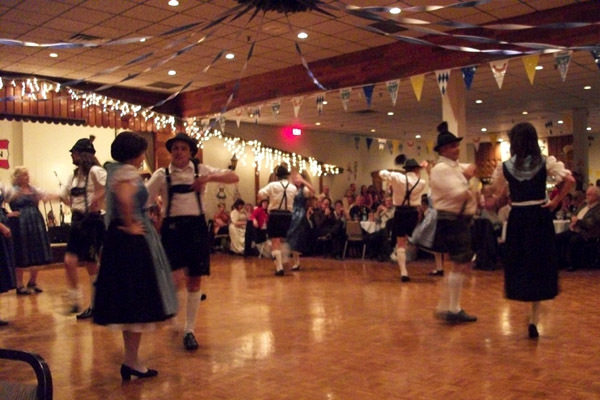 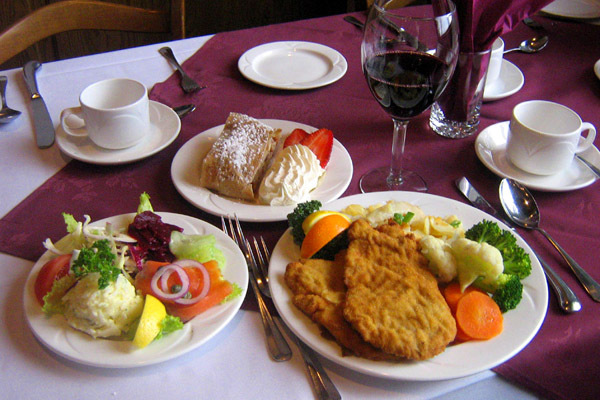 All the catering was prepared and served well by our accomplished staff at the Austrian-Canadian Centre. 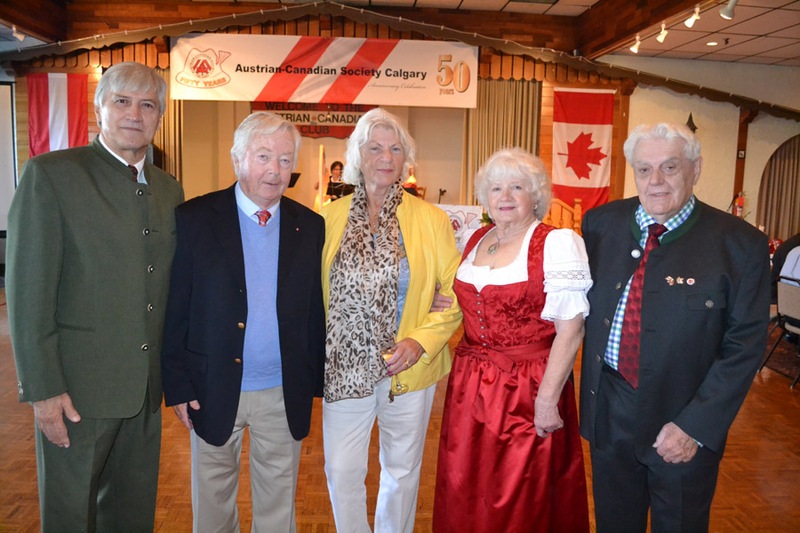 A lot of work and preparation went into this 50th anniversary celebration and the Austrian-Canadian club is grateful and proud to have so many volunteers and staff, who did an outstanding job organizing the event. 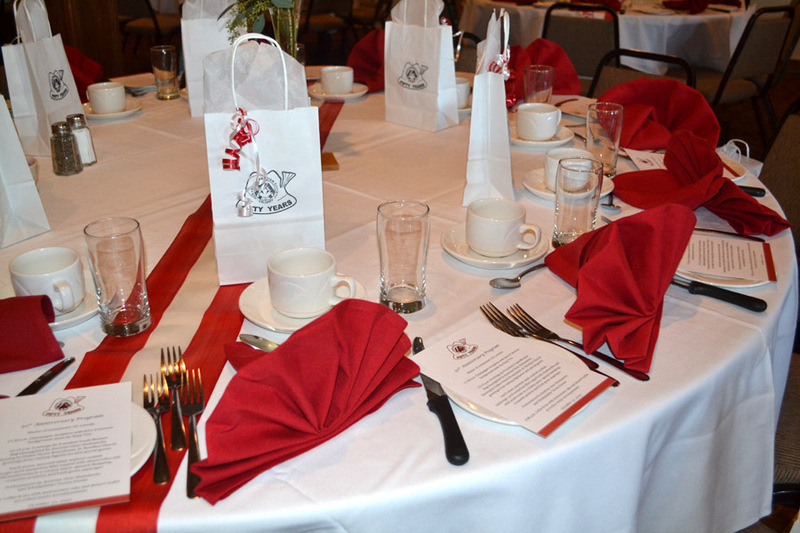 A very special thank you to everyone who helped on behalf of the board of Directors and the President.